Vacuum can be put in garage, utility room, etc. How does a Built-In vacuum work? 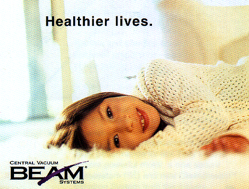 Central Vacuum Raleigh & Cary & Central Vacuum Systems. Visit Capital Vacuum in Raleigh and Cary for Built-in central vacuum cleaning systems - including Riccar, Beam, Electrolux, Dust Care & others. Built-Central Vacuum Sales, Service, Repair, Supplies and installation.